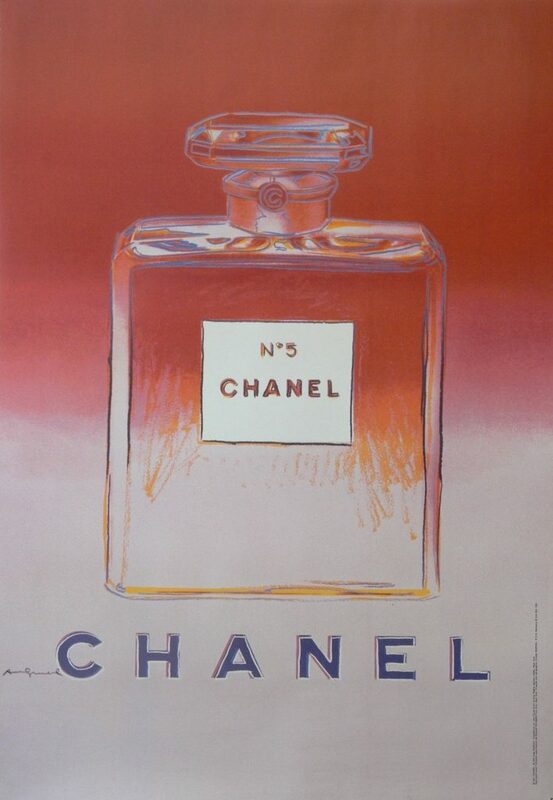 During the 1980’s Andy created a series of screen prints called Ads which included exquisite portraits of colorful Chanel No. 5 bottles. They were included in an edition of 190 and at the time fetched between $25,000 and $100,000. Chanel liked what he did and asked him to create something similar to put on the street for their next campaign. However, due to his sad and sudden death in 1987 the posters were not released until 1997 with authorization from the Warhol foundation.